I first tried rock climbing when I was going to college up at Humbolt state. I have vague memories of a giant moss covered rock, a rope hanging from the top of it, giant floppy shoes on my feet (these said shoes were at least 4 sizes too big) and a more distinct memory of clawing at the rock, feet slipping and not getting off the ground. This may not have been the best intro as I didn’t try climbing again until I had moved to Crested Butte Colorado about a year later. This second try at rock climbing went quite a bit better, though my choice of gear was still sub par for the outing. A friend asked if I wanted to go ice climbing and I jumped on the opportunity like a puppy leaping after its favorite toy. The thought of hanging off the side of frozen waterfall definitely sounded like something that I should not pass up. 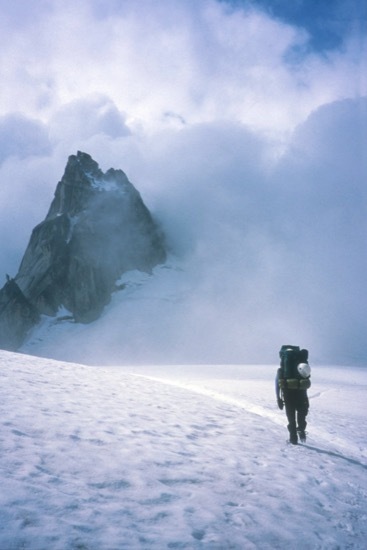 We borrowed a harness, ice tools and crampons for me and my friends said that I could climb in my telemark boots, but that it would be more challenging as the nature of the boot would only leave minimal front point sticking out on the crampons. Seemed fine to me and the next day, bundled up in my ski clothes, we piled into my buddies VW van and drove to the North rim of the Black Canyon to what seemed like a random pull out between the Blue Mesa Reservoir and Hotchkis. I pulled on my leather single buckle telemark boots, threw on my beat up backpack full of the gear that I had borrowed and marched down a frozen river bed after my buddies, to check out what was soon to be one of my favorite activities. We got to the rim and looked over the edge at the beautiful blue frozen sheet of ice that descended nearly 200 feet down to the canyon floor. 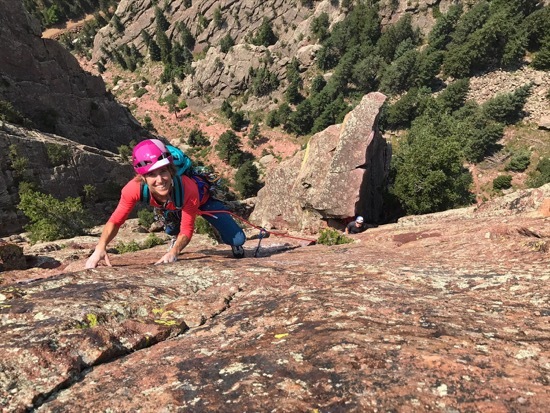 My heart raced as my friend set me up for my first rappel, threading the two ends of the rope through a belay device that would soon be holding me from plummeting to the distant ground. I let the rope slide through the device, gripping the brake hand with all my might lest I somehow loose grip with my big fat mittens and loose control of the rope. When we reached the bottom I was already sold that this was the coolest thing hands down that I had ever experienced. I was about to climb a waterfall with sharp pointy tools on my hands and on my feet. Crazy!! And yeah, it was amazing!!!!! And yes, I became a climbing addict from that day forward. I have now been climbing for over 25 years. I have traveled to the ends of the earth seeking remote rocks to climb, I’ve climbed little rocks, giant walls, many frozen waterfalls and sometimes I’ve even climbed buildings and furniture (but that's another story). It's a humbling sport for sure and I have learned many lessons along the way. 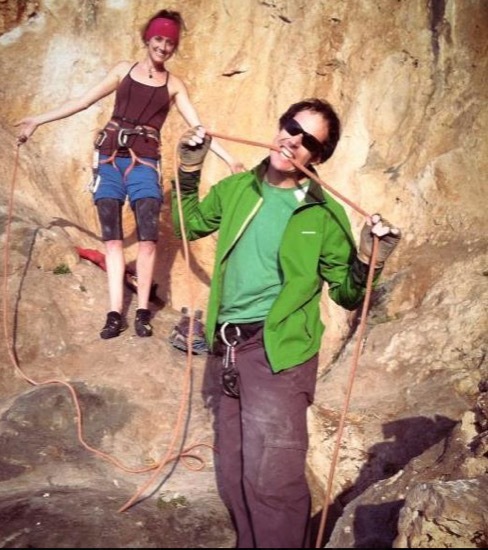 Here is a long list of the essential rock climbing tips you should know when getting into climbing that I wish I had known at the beginning. There is a myth that you have to be mega fit to climb. I have heard from many people that they don’t think that they have enough strength to climb. But it actually isn’t all about fitness. You possibly have seen those muscle toned climbers with no shirt on, abs of steel and bronzed skin and wonder...do I have to be fit to get up a rock climb? The answer is no. It turns out that climbing is mostly about technique, especially in the beginning. A baseline of fitness perhaps, but really it is all about your feet and how good you are at using your body efficiently to move over stone. A lot of good climbers are just that, “good at climbing”. It takes skill and technique to get up a climb gracefully. You can take the strongest person in the world..and if they don’t have technique then they won’t even be able to get off the ground. Just take for example my first encounter with climbing. I was pretty darn fit at the time as an avid swimmer, runner, skier and peak bagger. I am quite certain that I was “fit enough”, however, I had no climbing technique and could thus not make any progress on the climb (that was also too difficult for most novice climbers). When I was nineteen I had terrible sciatica problems. It got so bad that I couldn’t even sleep at night. I finally went to an acupuncturist and found relief plus some good words of advice. I was told that I could keep coming to get treatment, likely for the rest of my life, or I could take responsibility for my own body and start doing yoga. I chose yoga and I have to say that it changed my life in more ways than just curing my sciatica pain. It gave me so many things, but one was flexibility and with that came a dramatic influence on my climbing. 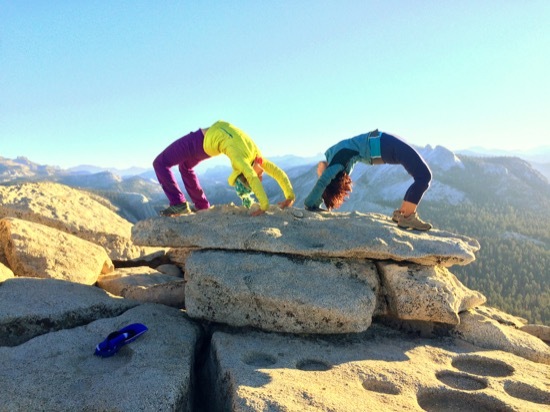 It turns out that having flexibility can really help with your climbing. If you have tried climbing and have seen that sometimes you have to high step or stem or extend to that far away hold..then you probably already know. It really does help. Not to mention that if you stay flexible that your body will feel better and you are less likely to get injured. 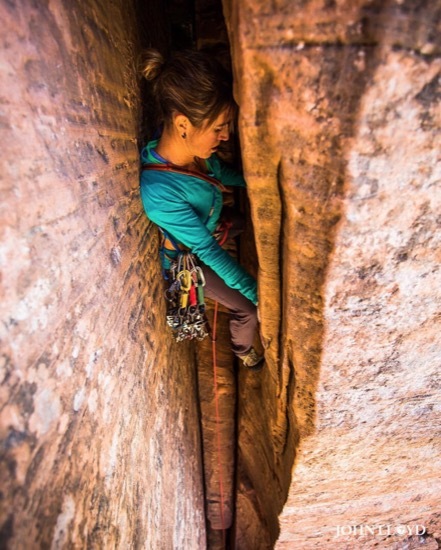 I remember my first big multi pitch climb. I got invited to go rock climbing down in the Black Canyon. In case you don’t know the Black...it is a giant gash, basically a Grand Canyon of Colorado in my opinion, though smaller and only a mile wide, its walls tower up to 3,000 feet in spots. It is truly an awe inspiring place and a spectacular spot. Anyway... I wasn’t leading anything at the time (because my partner told me that I needed to follow at least 100 pitches before I was supposed to jump on the sharp end). 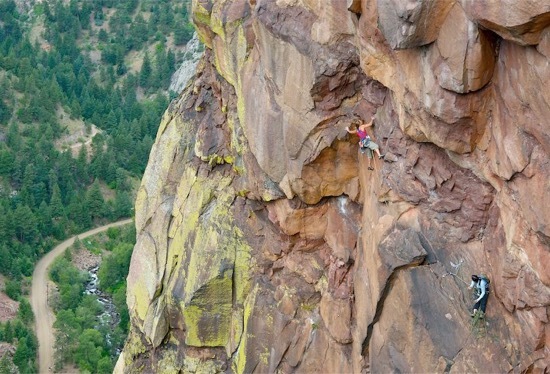 We were going up one of the smaller climbs in the black, a route called the Checkerboard Wall that is a 750 foot climb. At 5.10+, this was a challenging route for me to follow. I remember being so frightened that I literally was hanging on for dear life and clawing my way towards the summit. I remember quite a few pieces that were stubborn and difficult to get out of the rock. I noticed that when I would start to panic that the piece wouldn’t budge and when I would nearly give up that they would somehow pop right out. I started breathing deep breaths and trying to calm myself and I noticed that the climbing got easier I also noticed that the removal of the gear got a lot easier too. It was as if the cams knew that I needed to calm down, so they wedged in tighter until I calmed myself and then they would allow me to extract them from the rock. I have kept that memory in my head and I use breath work and positive thinking to this day to help me on the rock. Even just a few deep full breaths before you start up a climb or when you are feeling yourself getting worked up can really help. 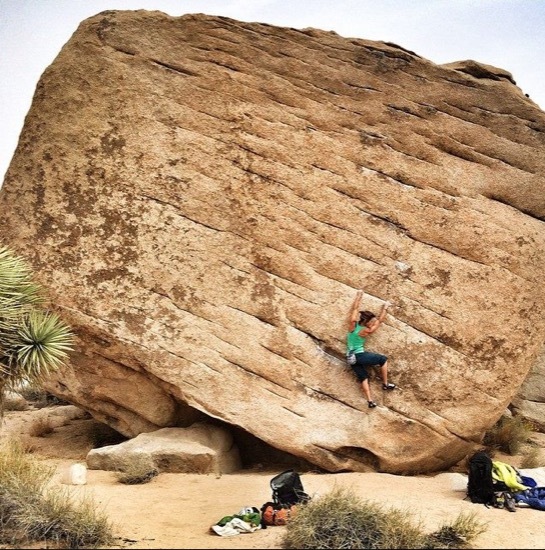 There has always been a myth about sizing your climbing shoes. Typically you will hear that to really be precise with your footwork that you need tight shoes. I have found that this is not really the case. As a matter of fact having tight shoes can sometimes hinder you. If you can’t feel your feet, then how are you going to feel what your feet are doing on the rock? That being said you don’t really want boats on your feet either. So, the solution is snug but not crushing the feet. I honestly have been going up in sizes over the years. I started with shoes that were bigger than my street shoe, then went to shoes three sizes smaller and now I am about 1 size to 1.5 sizes smaller than my street shoe size. I have sent everything from 5.0 to 5.13 in shoes that I can wear for hours at a time. This isn’t to say that sloppy shoes are ok. Like I said, snug but still comfortable is the way to go. This one I can’t emphasize enough. If you do a pull-up and try and hold the bar to your chin for an extended period of time your arms will get tired and fail a lot quicker than if you dangle straight arm. And then if you add your legs in there too, well you can hang on for quite a long time with straight arms. However, this is not to say that nothing is engaged with the straight arm technique. You actually want to keep your shoulders working just enough to keep your shoulders from going out of the socket. You are basically hanging from your skeleton but with shoulder blades engaged on the back. 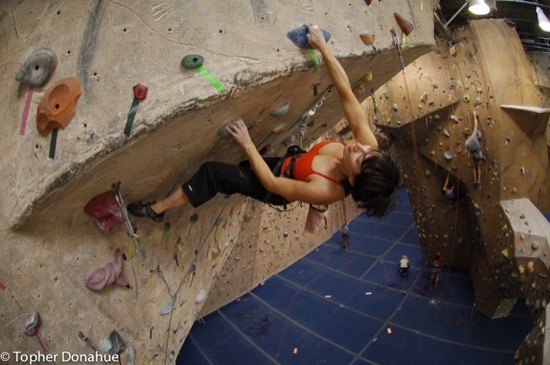 To be honest on this one, I grew up climbing in an era when gyms were not nearly as prevalent as they are today. But honestly, I don’t think I ever climbed on plastic until I had been climbing for a long time. I recall one of my early experiences in the gym. I was becoming a pretty solid 5.11 climber and I went to the gym in Vegas with a friend. Keep in mind that I was solely a traditional climber at this point. I didn’t even know how gyms worked. Turns out on that visit I could barely get up 5.9. So, obviously gym climbing and outdoors does not translate exactly as I was climbing much harder outside. However, climbing inside and building up the movement base, skill base, as well as the hand and core strength does make a difference. You won't necessarily be able to go straight from inside to cracking hard outside, but it does help and can make the transition easier. Shoes, Harness, Belay Device, Helmet, first aid kit and Chalkbag....oh and comfy clothes. That’s about it. You can do quite a lot with this gear. 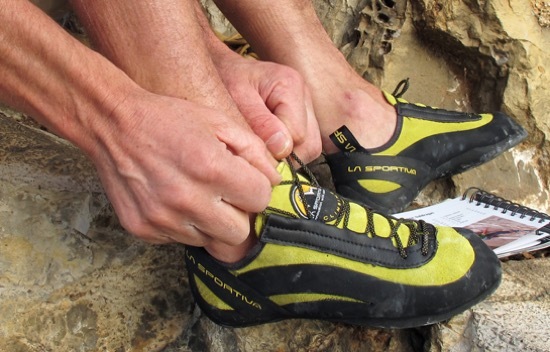 My recommendation for gear companies to choose from... well, my all time favorite climbing shoe and the shoe that I wear just about on everything is the La Sportiva Muira. This shoe has proved itself on everything from overhanging sport, slabby faces, technical bouldering moves to cracks of all sizes. If I am not in this shoe I can be seen wearing the TC pro in Yosemite Valley, because this shoe is basically designed for this place. I am really into traditional climbing, but if sport or bouldering is your thing then go for the Muira or a similar all around shoe. As far as harnesses, there are a lot of good ones out there for sure and it can be confusing. 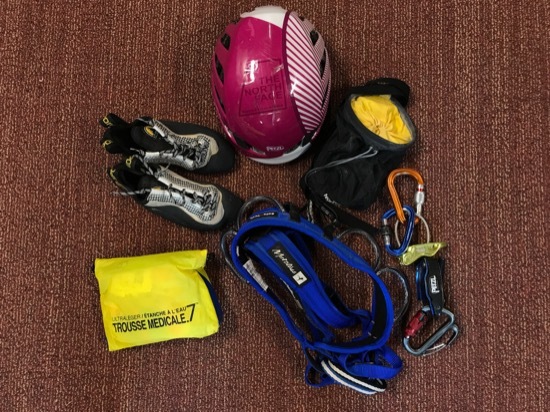 For me right now, I am really into the Metolius Safe Tech series as they are super comfy and you have the added safety feature of being able to clip into any part of the harness as everything is full strength. As for belay devices, it's best to start with the simple and effective tuber type device. This ensures that you learn how to belay properly from the beginning. Make sure that you get proper instruction on how to use this device before actually belaying someone! I have to say that I did learn primarily on my own at the beginning of my climbing career and I feel now that I am really lucky that I am still alive. Albeit it was fun trying to figure it out...buying some random gear, reading freedom of the hills and testing my limited knowledge on climbs that I had no place leading in the first place. Then one day I fell off of a climb that I shouldn't have gotten on. I had no idea what it was rated and no idea how to climb the type of climb that it was. As I skidded down the rock, bear hugging the bulge that I was on...I managed to scrape all of the skin off of the inside of my arm and somehow my piece of gear held AND my belayer, who likely didn’t really know how to belay, caught me. Well, I survived that, but then I was taken under the wing of a knowledgeable teacher who basically guided me to safety by showing me the “ropes”. He told me that I should follow at least 100 pitches before I start leading and I am sticking with that knowledge as I think it is really important. If I was to do it all over again, I would say that hiring someone (or finding a really good mentor) that knows how to climb and can teach you the proper way to climb and be safe is a brilliant idea. There are so many guiding companies out there now to choose from and so many amazing guides. 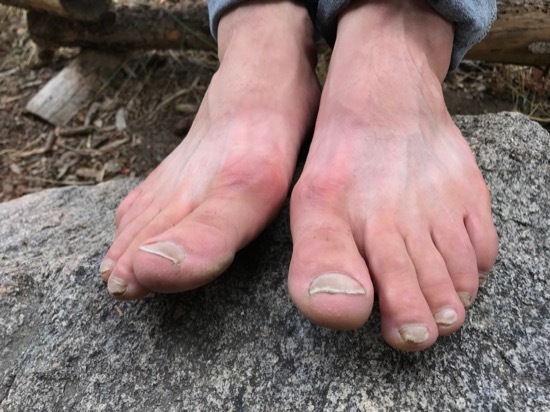 Climbers end up with bunions, foot fungus and potentially worse issues. So taking care of your feet is super essential. Keep them clean by washing them after a day of climbing, even if you don’t wash yourself. Air them out between pitches. When camping you can use baby wipes or boil up some water for a foot bath. I have been stormed off of a lot of climbs over the years. Back when I first started climbing there wasn’t the accuracy of the modern weather forecast that we now have. We had to rely on watching the weather and either gambling that it would hold or bailing in the case that it might get bad. It was often times stressful and I can assure you that you do not want to weather a torrential down pour with lightning buzzing in your helmet. So, just check the weather and keep your eyes peeled so that you can avoid this. Ok. So you finally kicked down and bought that sweet rack. It probably wasn’t cheap and it is going to be used over and over to protect you and your partner's lives. So let's take care of it! Ropes: You will hear if you haven’t already that you should never step on the rope. This doesn’t mean that your rope will break from being stepped on. What it does mean is that you will likely be grinding dirt into your rope and thus shortening the life of your rope. You should also use a rope bag or tarp when you can to keep your rope clean and extend its life. 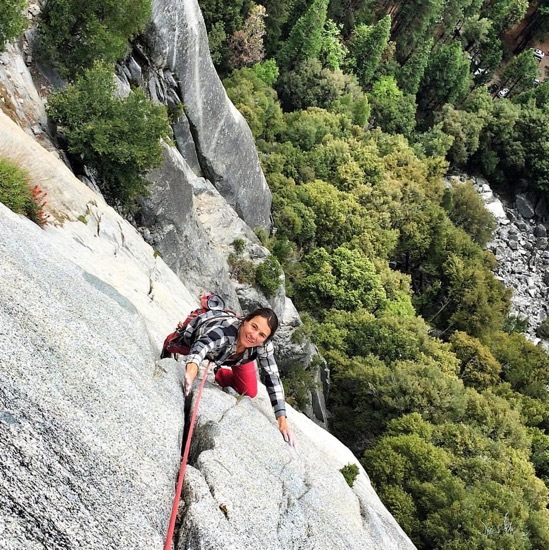 Obviously, you can’t use a rope bag on multi pitch climbs, but you can when cragging. Bottom line, if you keep your rope out of the dirt it will last longer. Also, when flaking your rope out, examine your rope for any frays, discolorations, and other indications of damage like bunching or flat areas. Hang a wet rope to dry before putting it away, and be sure to store it away from direct sunlight, like in a rope bag or a bin. Shoes: Try and keep them clean as well. Wipe any grit or dirt off of them before you climb, try not to stand around in the dirt in them. The dirt on the bottom of the shoe will decrease your grip on the rock and also wear the shoes out quicker by grinding away the soles. Make sure you take them out of your pack at the end of the day and let them air dry, this also keeps them from getting squashed into a funky shape. You can also wash them on a cold gentle cycle, don’t use soap, and don’t put them in the dryer. Let them air dry in a nice, non-humid area of your home or outside. We are only as weak as our minds believe that we are. It turns out that the power of suggestion is a really strong thing. It’s not necessarily the words, but it is most definitely how we let these words affect us. I like to call the little voice of doubt in my mind “the little green guy”. You can call this voice anything you want, you don’t even have to label it...but it is there. Like it or not it is a real thing. We all have at least a bit of doubt within us. 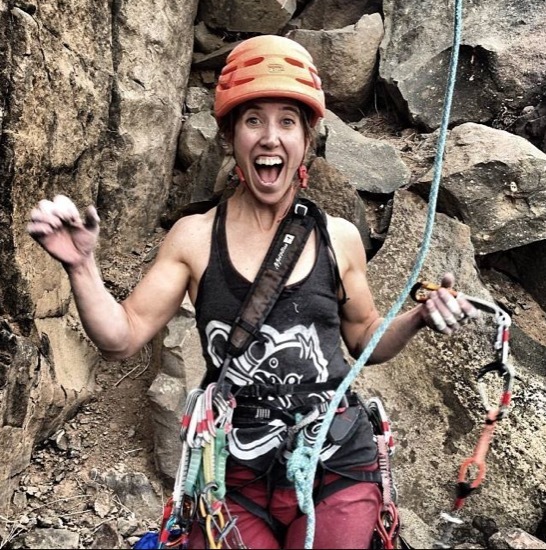 Even if you have yet to acknowledge this doubt monster that lives inside of all of us, it is something that should be addressed early on in your climbing career. 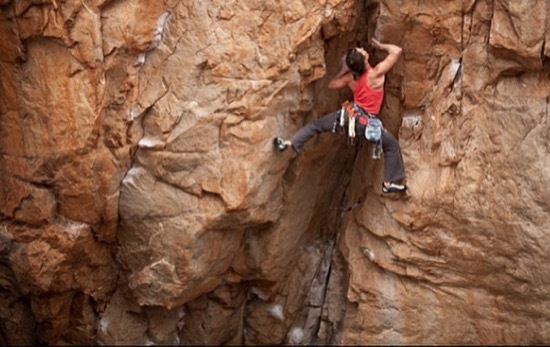 If you don’t address it this doubt will no doubt wreak havoc on your climbing career all along the way. Anyway, I have had quite a lot of experience with this monster. It has traveled from Colorado to Utah to Pakistan to Siberia and beyond with me. This monster is actually still there. However, I try not to let it affect my judgment in a negative way. There is wiseness in knowing your limits and knowing what to say no to. But there is the next step and that is to know when you are knowledgeable enough and trained enough and strong/competent enough to so what you are dreaming of doing. We can always talk ourselves out of going on that dream trip. There are so many reasons why we should stay home. We can save money, it seems scary, we don’t know anyone over there, what if what if what if. We can come up with the what ifs without a fault. But really you need to get past the what ifs and look at the why nots. Life is short and this world is here to explore. Our bodies are a vehicle that can take us to places that we have always or maybe never have dreamed of. So don’t listen to the doubt monster or your family and friends that think you are crazy. 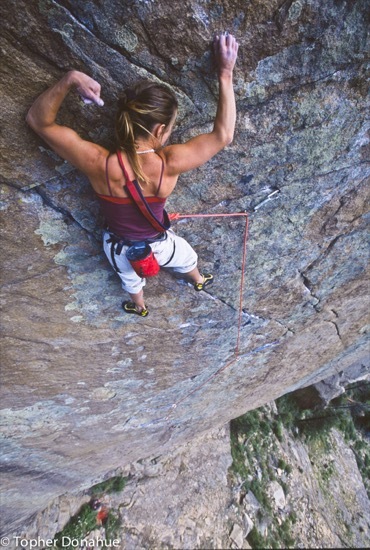 Because climbing can and will lead you to amazing places if you let it. This goes back to climbing at least 100 pitches before you start leading. I can't emphasize this enough! It is super important to start slow when taking your climbing outside or when pushing yourself at the gym. Basically, you need a good foundation. That means if you go from zero to 100 you are most definitely going to blow a gasket. So, build your body up to climbing. Start by climbing tons of easy climbs so that they feel EASY, then move on to harder climbs. When I learned to climb (after I took my crazy fall in the beginning), I was taught that you never fall. My mentors made me work through the grades, becoming solid at each grade before I moved on. This gave me not only a solid base for my technical skill but also for my body. For long term success, I definitely recommend this method. I have seen far too many young kids getting surgery way too young! Or getting in over their heads and taking crazy falls and injuring themselves that way. It’s just not worth it in my opinion. climbing to me is a long term endeavor. It's worth savoring and the easy grades are a whole lot of fun anyway, so enjoy! Explore, expand and grow as we play in and around Moab, Utah - home of world-class adventuring and breathtaking scenery - and connect with other like-minded people. This trip is all about taking the concept of adventure and play to a whole new level in a tropical paradise! We'll be exploring the wonders of the outdoors as we embark on climbing trips, surf adventures and play on slacklines set up on the beach and over the water. This trip is a chance to be taken care of in an exotic and unique cultural landscape: experience the culture of Cuba, connect with like-minded individuals, explore the limestone climbing of Vinyales, connect to nature and with yourself, breath, eat amazing food, push yourself, explore and recharge. This trip is a chance to connect to nature, breath fresh air, eat amazing food, push yourself (if you like), explore and recharge. We will be working on skills throughout this adventure to improve your climbing, become more grounded and just be a happier human. Sign up below. We'll never share your email or do anything else uncool.